Do you know how to actually ask people to buy your product and spend money with you? Does the idea of sales make you feel queasy? No entrepreneur should venture out without being happy to get down to it and sell. But don’t worry – great selling doesn’t have to be awkward and pushy; great selling is about having conversations and figuring out what motivates your customers. Here are some sales strategies that will help you; have them to hand if you ever feel faint of heart. In the modern world of inbound marketing and permission-based sales, many of the old sales stereotypes are void. You won’t be interrupting, harassing, or pestering people – you will simply be opening doors to new experiences and products. Both online and face-to-face selling work best with a soft-sell approach: focus on sharing information, not repetitive sales talk. Offer the customer plenty of information to help them make the right decision for them. On the web, selling is all about full-disclosure thanks to the transparency of online reviews. Sales requires a basic amount of confidence and belief in the product and yourself, but you don’t have to be extravagantly extraverted in order to sell successfully! Don’t feel like you have to pretend to be all ‘hyped up’ – you’ll just end up sounding like a cheesy ad. Make sales part of your weekly (even daily) work schedule so that it naturally becomes part of your work routine. 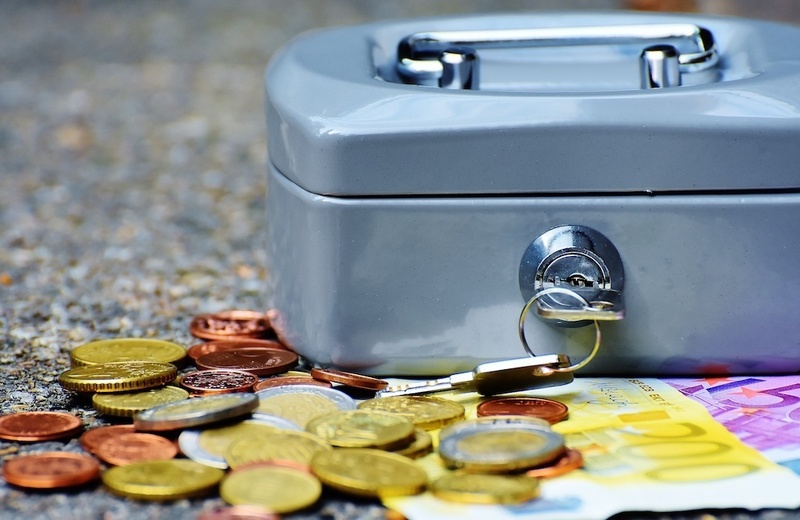 Giving sales its own dedicated time will help you approach it with more confidence. Market knowledge is crucial for a successful sales pitch. 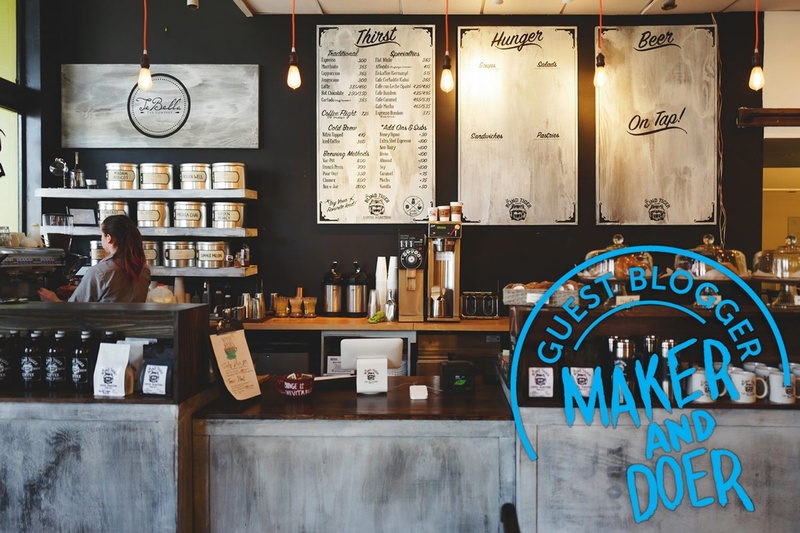 Get to know your client and customer base intimately from day one by really listening to them – share in their challenges and triumphs for an insider track to their hearts and minds. Buyer personas can be a great way to clarify who you are talking to. It’s easy to get your messaging wrong, so spend time mapping out your customers before you dive in. Mismatched messaging is a massive conversion killer. Even if you’re always laser-focused on what you need to achieve to make a success of your business, don’t let that be at the forefront of your mind when talking to prospects. Focus on your customers’ needs and listen to them, rather than worrying about your own business challenges. Create a sense of dialogue by letting some of your own vulnerability shine through – people respond to that. Be human and empathetic, rather than unassailable and distant, in order to win people over. Slush made this awesome sign that went viral around the world. The tongue-in-cheek copy is perfect for Slush’s start up audience of tech founders who hadn’t heard of, or been to, Helsinki before. The cool and self-deprecating tone hit a nerve with its target audience, and people loved Slush for being brave and different. Taking a risk with your marketing and sales copy can pay off – if you’re too safe and tame, your customers will get no sense of your personality. It’s easier to sell to people who already know you, so focus on networking and getting to know your local (and online) business community. Build out your own personal network, but be known for insightful commentary and helpful remarks, rather than a ‘me, me, me’ attitude. By having a credible community around you, you can sell to people who are already listening, rather than coming at it cold. Think global – don’t just look at who’s around you physically. There is a whole world out there who can help share your message– social media is the perfect medium for smart global networking. Jump on hashtags and follow influencers – built relationships with people by commenting on and sharing their posts. (Here are some tips on how to work with valuable micro-influencers like bloggers). Join relevant industry and user groups to put yourself on the map, but be careful about jumping in and selling cold. A lot of these groups have strict guidelines on self-promotion and you could be barred. Observe and comment before you dive in. Keep a healthy balance between promotional and helpful posts – you definitely want to be sharing insightful content more than you want to be selling and promoting. One important sales tip is to learn how to say no. Not every opportunity is going to be good for you, and you could end up damaging your business reputation by taking on a client whose needs you can’t serve. If they don’t really need your product or service, tell them the truth and let them move one. Listen to your gut – if someone is being really difficult from day one, you may want to go the other way. A bad client relationship can quickly sour and sap your energy and motivation. Stretching yourself too thin is also dangerous. Know when you have to stop so you don’t burn out (start ups have incredibly high burn rates – don’t join the club). Landing pages are the modern equivalent of the sales pitch. Use this tech company sales strategy to grow your business, no matter what stage you’re at. Pre-launch? Get people to sign up for more information. Ready to launch? Use landing pages to drive sales and sign ups, and build brand credibility without a fully-fledged website. Landing pages are also essential to paid advertising campaigns – this is where you’ll to drive customer traffic to. It’s all about the sales funnel. 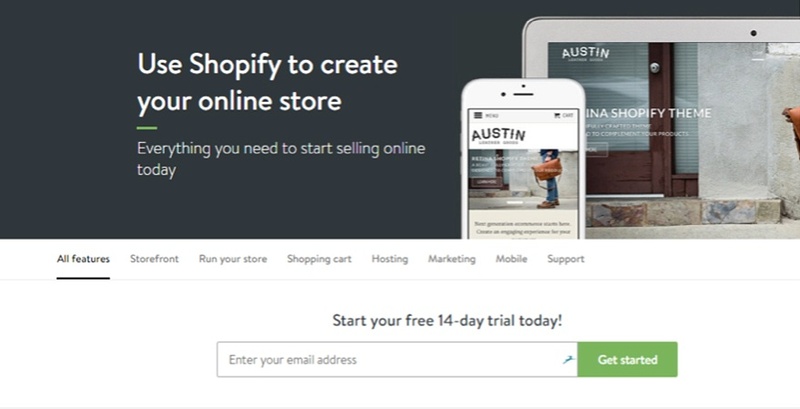 Tech giant Shopify has simple value propositions and a clear call to action that carries almost zero risk for the user. (Just my email for a free trial? Simple). By using language that’s focused on customer dreams of becoming an online businessowner, Shopify as a brand retreats into the background, leaving the use at the heart of their offering. The green “get started” call to action is all about positivity and taking action - emphasising immediacy. 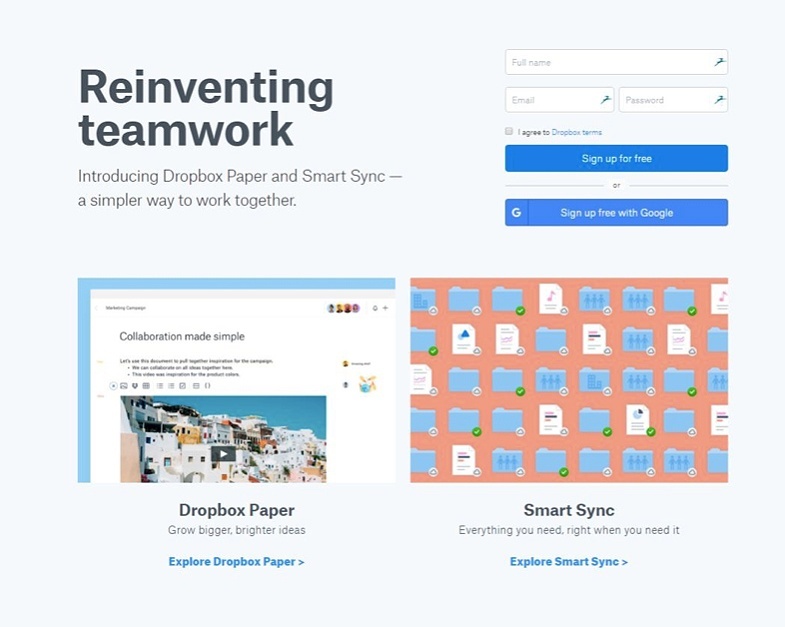 Another great landing page comes from Dropbox, which is fitting as their start up story is all about growth hacking and using a landing page to find their first customers! Drobox’s simple colour scheme and motivational heading “Reinventing teamwork” keeps the focus squarely on the benefits of the product. Dropbox is selling the dream of calm organisation – something their landing page makes crystal clear. When designing your own landing pages, remember to keep things as user-focused as possible, and really hone in on a compelling value proposition and call to action. It all starts with offering user value – build out your page from that. Email sales are central to any business, offline or online. Building a list of eager subscribers should be one of your first tasks as an entrepreneur. How to get people’s email addresses in the first place? You often have to offer something in exchange – it could be a whitepaper, an industry report, a cool illustration, a free sample, a discount. People can be wary about giving their data away, so reassure them as much as you can. Treat your email readers like VIPs – never take them for granted or spam them. 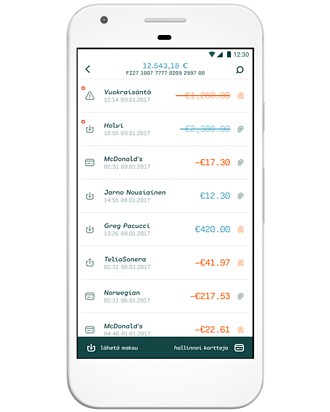 Give them first dibs on any exciting events or bonus offers. Ask them questions too, and be honest about your entrepreneurial struggles. Selling via email is subtle – you have to set out a proper email schedule that builds up a relationship between the reader and the brand that progresses naturally. Carrie Green has managed to build an empire of ambitious business-owners and female entrepreneurs through the power of Facebook and email. Carrie sells to her email list effectively because she is open and honest about the journey, and her emails are always very friendly. 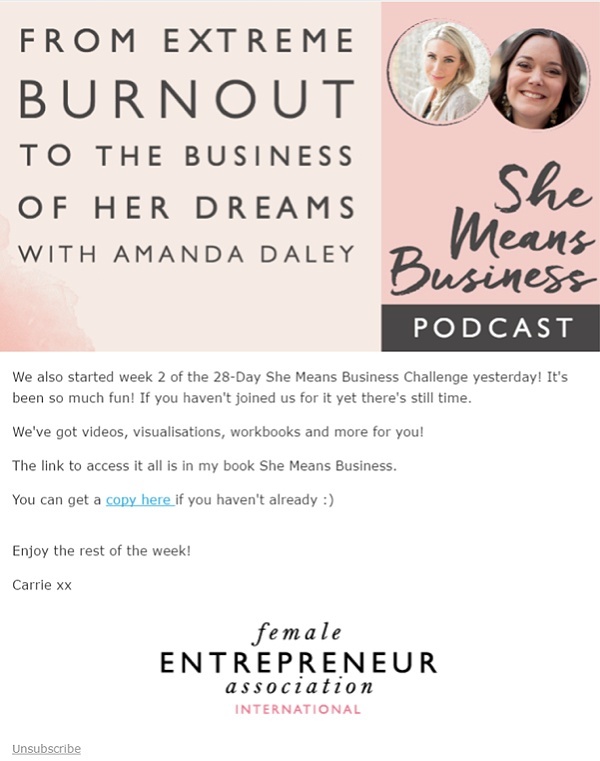 Her motivational vulnerability makes other women feel like they can do it too, and they are signing up in the droves to her webinars and Female Entrepreneur Association group. 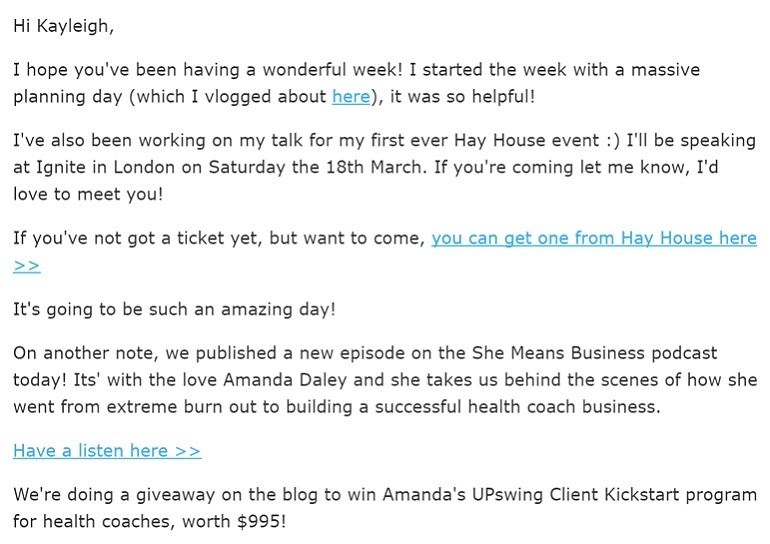 Her recent book launch was heavily promoted to her email list, with special insider-only offers and content. Digital sales hinge on strong brand awareness in the form of digital PR or backlinks. Before you go out and hire an expensive SEO consultant, look to the people around you first. Can you share some knowledge with their audience in exchange for some free PR? Getting backlinks to your website can seem like a daunting task if you’re looking to improve your rankings game, but the best results often come from people you already know. Share knowledge and value with the community around you and suggest a content or resource exchange with your business associates. This will help you build brand and product/service awareness. 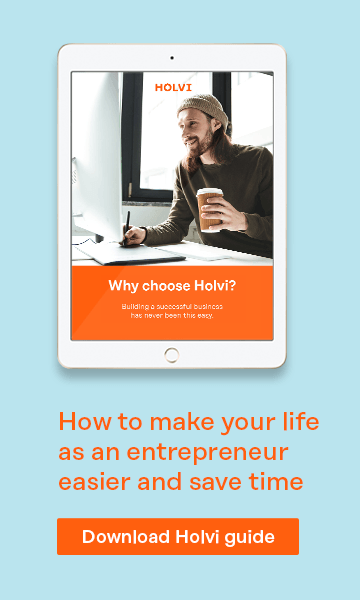 Many websites look for inspiring start up stories – use your entrepreneurial hustle to share inspiring stories and lessons with the online community. By sharing your story you can get quality backlinks that will increase your overall domain authority and boost rankings. This Google Trends graph shows the growing interest in start up culture over the years (from 2004 to 2016). Take advantage of the entrepreneurial hype and get your story out there. You never know you might help (and sell to). Living your dream is exhilarating, but it’s important to stay focused on your financial goals. 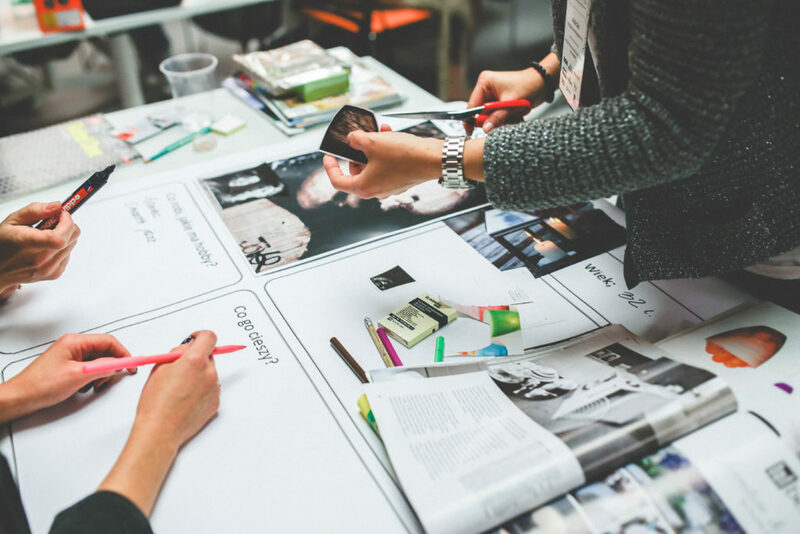 Keep revisiting your sales and marketing plan to make sure you’re on track. Get in the right kind of business by closing the right kind of sales deals. What’s the best sales tip you’ve heard recently? This is a guest blog post by Kayleigh Toyra. Kayleigh is a British/Finnish copywriter and an entrepreneur living in Bristol, UK. Her search marketing agency Seeker Digital empowers businesses to be heard. Go say hi to Kayleigh on Twitter.